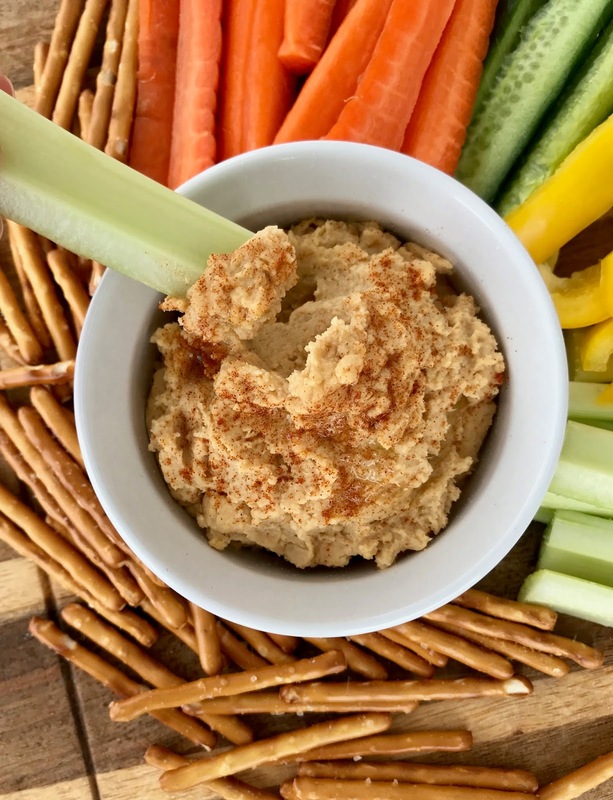 Peanut butter is used in this hummus in place of tahini for a budget friendly alternative that is still delicious and makes a great dip for kids. It's National Peanut Butter Day and I'm celebrating our love of peanut butter with a bunch of other bloggers -- scroll to the bottom to see all the other recipes! My toddlers really love peanut butter and they've eaten hummus in the past (like this beet version and this roasted butternut squash version), but they haven't seemed to be big fans of just plain hummus. I have seen people using peanut butter in place of tahini and it makes sense in a way as most people have peanut butter around and tahini can be a little pricey, plus not something everyone may use super frequently. So I decided to give it a try! It's really good! It's not the same as hummus made with tahini - you can taste the peanut butter in my opinion. I thought it went really well with celery, carrots, apple slices, and pretzels. The kids ate it too and seemed to enjoy it, especially with apples and pretzels. In a food processor, add the garbanzo beans, peanut butter, lemon juice, 2 tablespoons extra virgin olive oil, garlic, paprika, and a good pinch of salt. Pulse a few times and then blend until smooth, stopping to scrape down the sides as needed. Add more olive oil if the mixture is too thick (you can also add a little water to help thin it out a little). Place the hummus in a bowl and top with a little more olive oil and a sprinkle of paprika, if desired. Serve with fresh vegetables, pretzels, crackers, and/or apple slices. I adore both chickpea and peanut butter! This is a perfect hummus for me, Amy. Yes! I love making hummus with peanut butter. Tahini really is expensive. I love this idea! I definitely have to try it. My peanut-butter-loving-family will go crazy over it. Not really a hummus fan, but love peanut butter so I would definitely try this! It looks delicious. I love peanut butter and I love hummus, so I'm pretty sure I would adore this hummus! What a great addition to hummus. It makes total sense! This looks so good. What a great snack it makes. 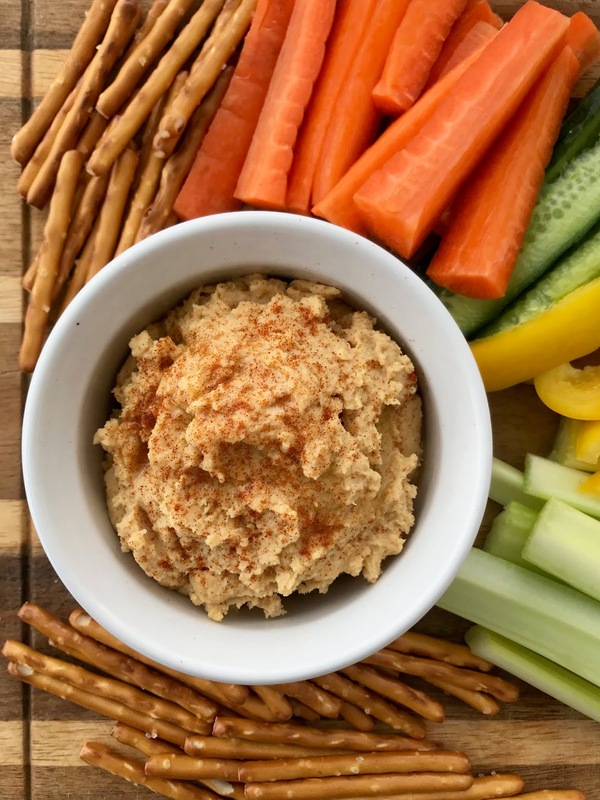 I eat hummus or peanut butter every afternoon for a snack, never thought to combine them! Can't wait to try this! I have a jar of tahini and plenty of peanut butter and I LOVE hummus, so this is happening at my house this weekend!! This is next on my list of things to play around with...I just adore peanut butter in hummus! I love having different kinds of hummus around to snack on. So versatile and delicious. Love peanut butter and I am so tempted to try your peanut butter version of hummus. Brilliant idea! This looks like a fun snack! Great hummus for when the great nieces are over. 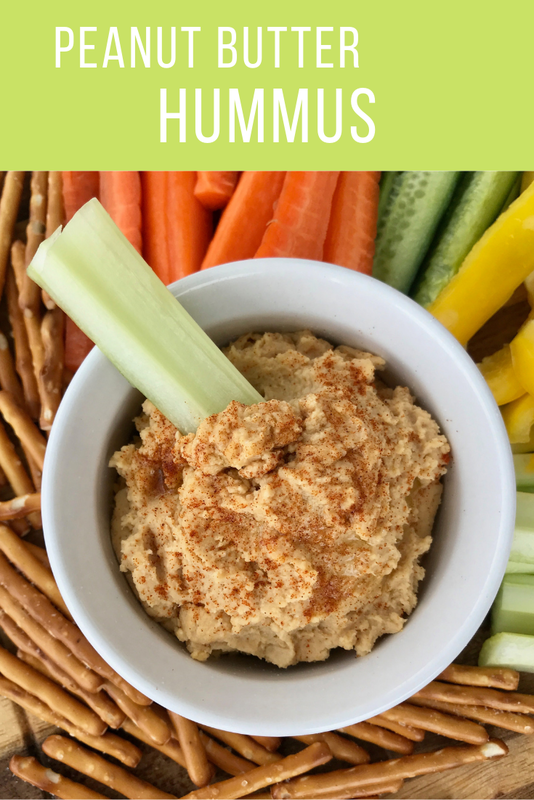 I've never tried making homemade hummus before but it looks so easy! And I bet it is is delicious with the peanut butter in it! Going to have to give this one a try! I love humus ! this looks wonderful! What a fun twist on hummus! I'm always up for anything with peanut butter. I love hummus but never had peanut butter hummus. This could be my new favorite snack. I love hummus. I'm a peanut butter fan too. Together sounds delicious! I have never tried to add peanut butter to hummus! What a great idea! I definitely need to try it out!